Find out what to eat in Beijing. 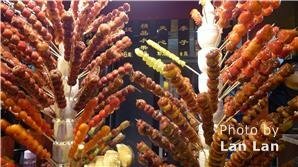 This Beijing food list has the top Beijing dishes and snacks and recommended restaurants and areas to find them in. 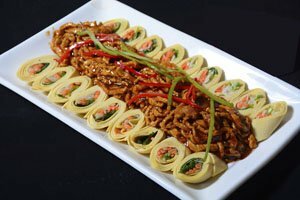 With the exception of Beijing’s best-known culinary export, Peking duck, most of the city’s most famous dishes have been adopted from surrounding areas. Regardless of their origin, all of the following dishes are now fully ingrained in Beijing life and can be sampled at restaurants throughout the city. Enjoy! 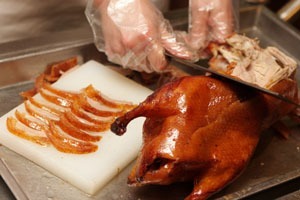 Beijing roast duck, or Peking Duck, is the epitome of Beijing cuisine and the dish you must try when visiting Beijing. The dish is mostly esteemed for the thin, crispy skin, with authentic versions of the dish serving mostly skin and little meat. 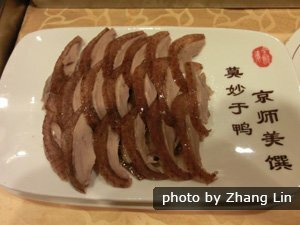 While sauces and accompaniments will vary between restaurants (the most common being scallion and cucumber) it is difficult to go wrong with roast duck in Beijing. If you eat at one of Beijing’s more famous duck restaurants it will also be accompanied by a short demonstration on the correct way to assemble a Peking Duck wrap using chopsticks. Jiaozi is another dish that can be found anywhere across Beijing and while there are a number of better-known dumpling restaurants and chains, some of the tastiest dumplings (and most interesting experiences) can be found in smaller, less conspicuous family eateries where dumplings are the only thing on the menu. At these restaurants you can often sit and watch the next batch of dumplings being rolled and filled as you eat. 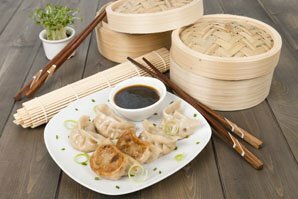 A plate of Jiaozi with a soy sauce, vinegar and chili dip is synonymous with Northern Chinese cuisine. 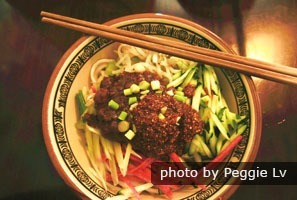 Jingjiang rousi is another dish incredibly popular with local &apos;Beijingers&apos; and and unlike many of the cities other popular dishes, it originated in the capital. It&apos;s popularity may stem from its simplicity; sliced pork cooked in a sweet bean sauce served with soy bean wraps. 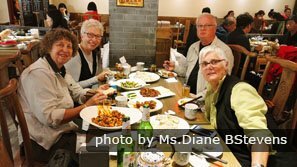 Jingjiang rousi is a necessary component of any authentic Beijing dining experience. Zhajiang mian is very popular when it comes to traditional Beijing cuisine, and is sometimes referred to as simply Beijing noodles. Mongolian hotpot, a dish that’s history dates back over 1,000 years, is as much about the enjoyment of the cooking as it is the taste. 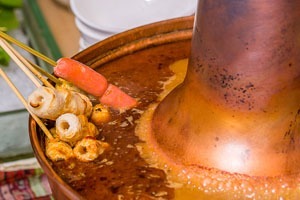 Traditional hotpot restaurants will involve sitting around a large pot of boiling soup, in which you cook your own food. Although Mongolian hotpot usually involves a large amount of lamb, any number of meats, vegetables and breads are available. These are sliced thin to ensure they cook quickly and evenly. Originating in the city of Baoding in northern Hebei province, Beijing has adopted the donkey burger as its own. Restaurants offering this dish serve a number of different donkey meals, however the one to try is the donkey burger. Shredded donkey meat is served in a piping-hot, crunchy bun with a green pepper relish. The literal translation of this dish ‘dry wok potato wedges’ offers diners a fairly accurate idea of what to expect. 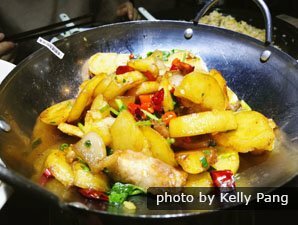 Slices of potato, crispy pork and chilies simmer in an iron pot sat atop an open flame. As you are working your way through the meat and potatoes, the bed of sliced onions that is hidden underneath slowly caramelizes in oil, leaving you with a delicious snack to finish your meal on. This dish is another great option for potato lovers. 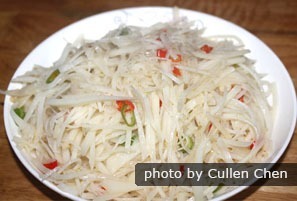 Thinly shredded potatoes are stir-fried with green peppers and seasoning, and can be served hot or cold. Don&apos;t be fooled by the plain look of the potatoes as they are coated in a sweet gloss which give the dish its flavor. Unlike the donkey sandwich, this dish doesn&apos;t actually contain meat of any kind, let alone donkey. Rolling Donkey refers to a kind of traditional Beijing snack, also known in southern China as Rolling Horse (马打滚 mǎ dǎgǔn), with a soft skin made of glutinous rice flour and a red bean stuffing. 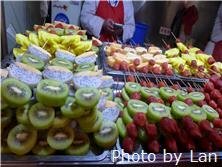 Tuckahoe pie is a traditional paper-thin snack in the shape of a full moon, popular in Beijing. It consists of a basic pancake wrapped in sugar, honey and an assortment of nuts. All of the foods above can be found in Beijing restaurants. 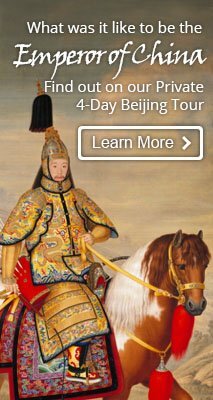 Our Beijing tours, almost without exception, include a chance to eat roast duck. You can request to eat any one of these tasty dishes, or anything else you would like to try, when customizing your tour with our travel advisers.